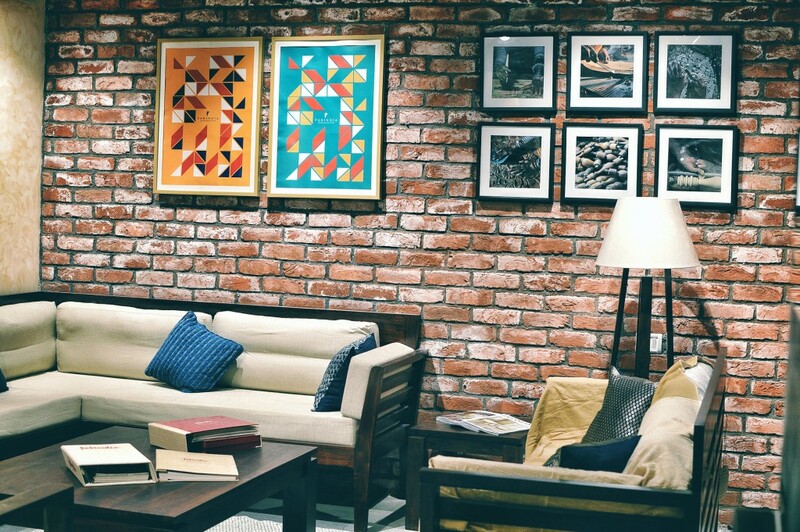 College goer, office person, a home maker and everyone in between, it could be hard to find someone who hasn’t heard about Fabindia! 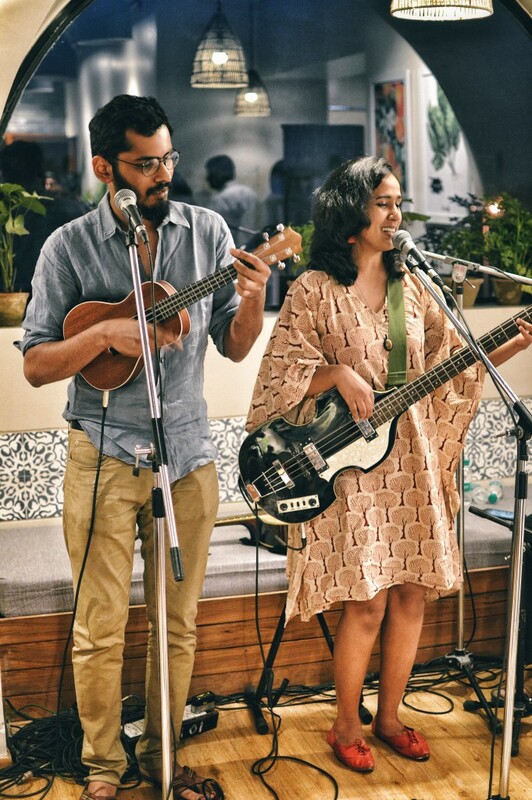 And I’m sure whatever it be, you have heard just the good because common it’s Fabindia! 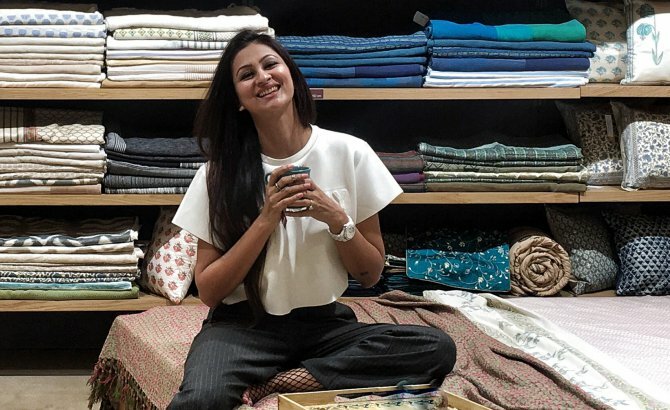 Thats the kind of power Fabindia exuberates with its quality product, variety, authenticity and rooted vibe! 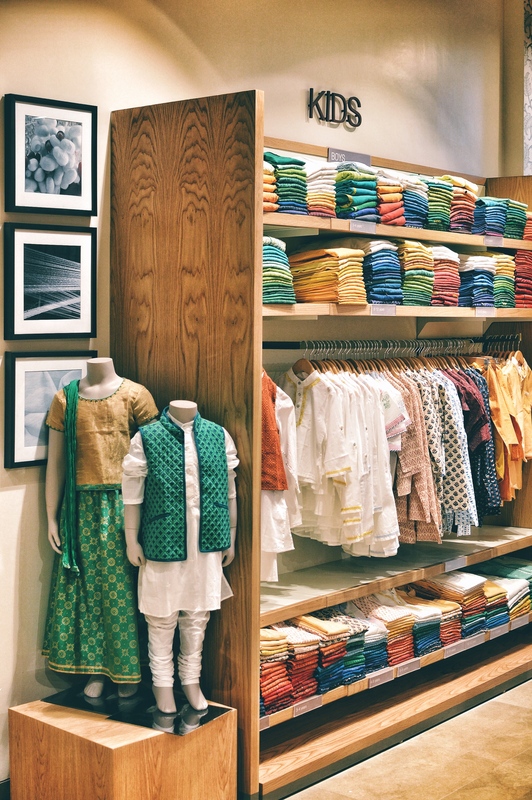 Adding another jewel to it’s power hat, Fabindia is opening its door to experiential retail with all new and first ever- The Fabindia Experience Center. Opening on 18th March’17 in Delhi’s Vasant Kunj area, I was present at the ribbon cutting day of this massive store. 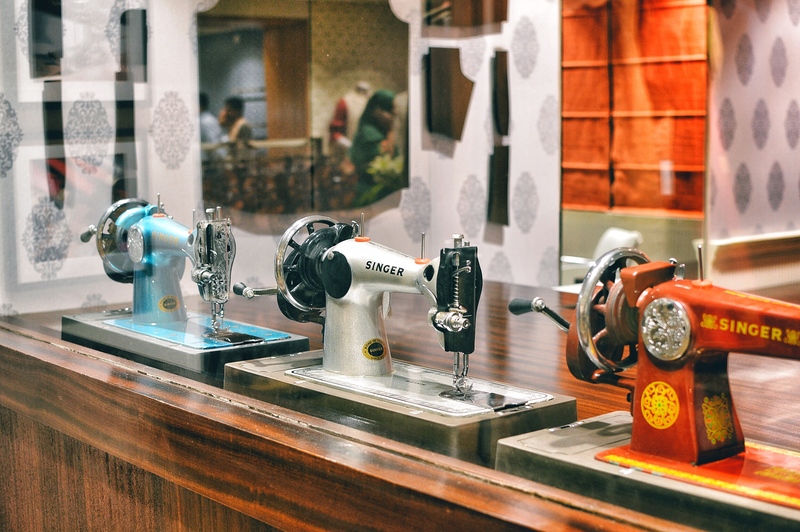 Apart from its iconic product offerings this four storied, spread over 10,000 sq.ft., retail space houses specialised zones like Alteration Studio, Kids’ Zone, Interior Design Studio, Organic India Wellness center and the ‘fab’-oulous FabCafe. 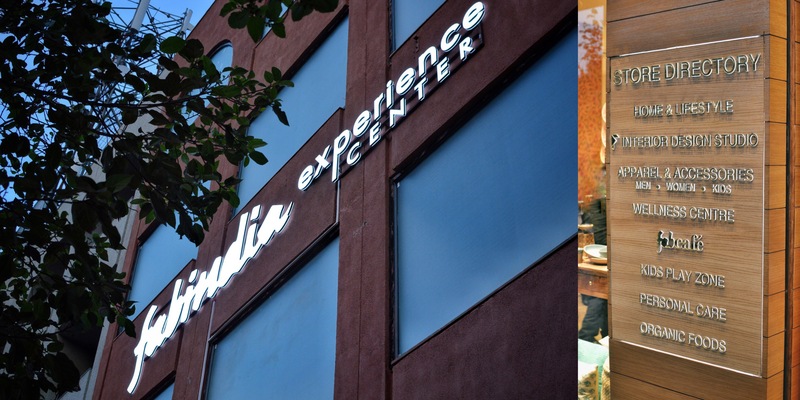 All in the effort to make its shopper’s shopping experience even better and hence the name- Fabindia Experience Center. Situated just ahead of the mall area on Nelson Mandela Road, Vasant Kunj, you can never miss but notice this huge stand alone beauty with its simplistic facade. Unlike a mall’s hustle bustle approach, as soon as I entered the Fabindia Experience Center I was treated with smiling staff, spaced out and well placed counters, consisting of the Kids wear section, giftware, Fabindia’s personal care and organic food range along with the Organic India Wellness Center. That’s Level 0 for you. 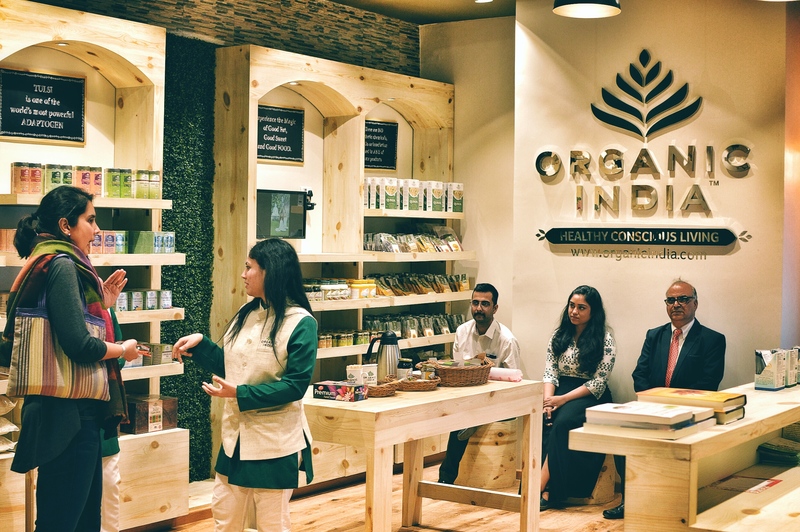 Fabindia Experience Center also houses Organic India’s first wellness store in Delhi. They promote healthy, conscious living through information, education and innovative product solutions. The designated space encourages customers to interact with trained consultants, explore wide range of products and know about programs that are solely designed around organic whole food nutrition, stress management, detoxification and immunity building, by renowned wellness experts. After spending enough time on the ground floor itself, I moved to Level 1. A whole floor just for women’s wear! 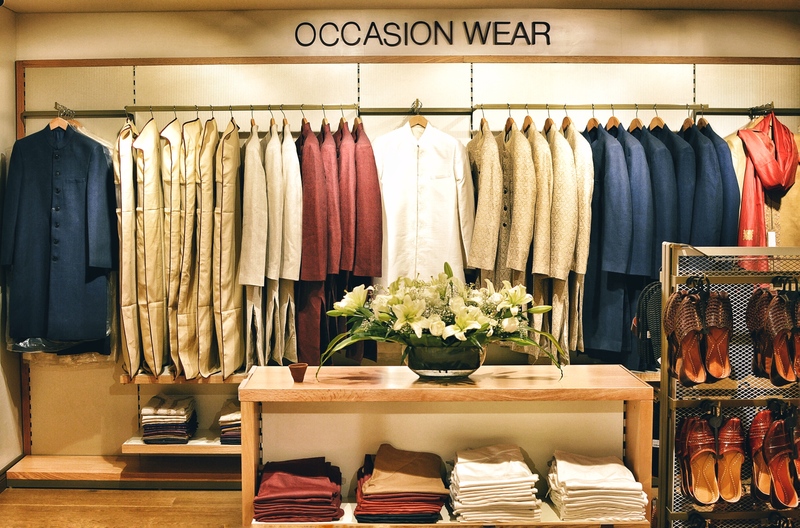 Ethic wear, occasion wear, sarees, separates, jewellery, footwear the list is endless. But why should women have all the fun! The Level 2 of this experience Center is solely dedicated to men’s wear. 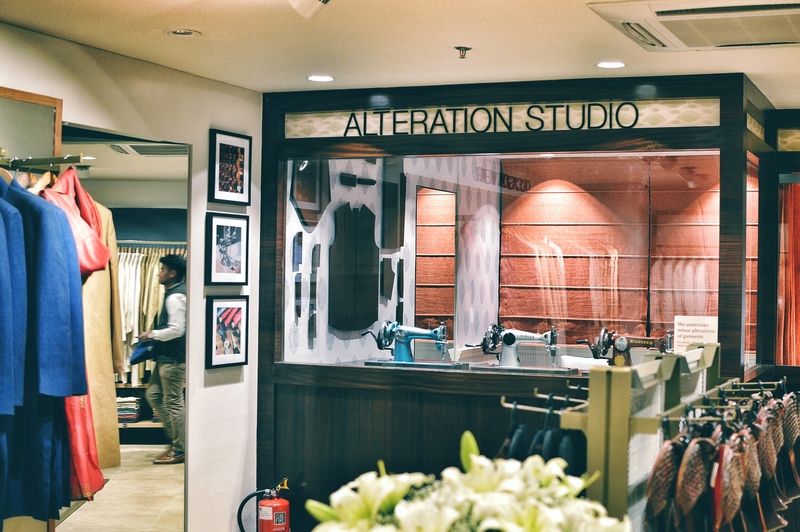 What caught my attention was the Alteration studio, that offers bespoke services. The music coming from the floor above, made me swiftly move ahead. 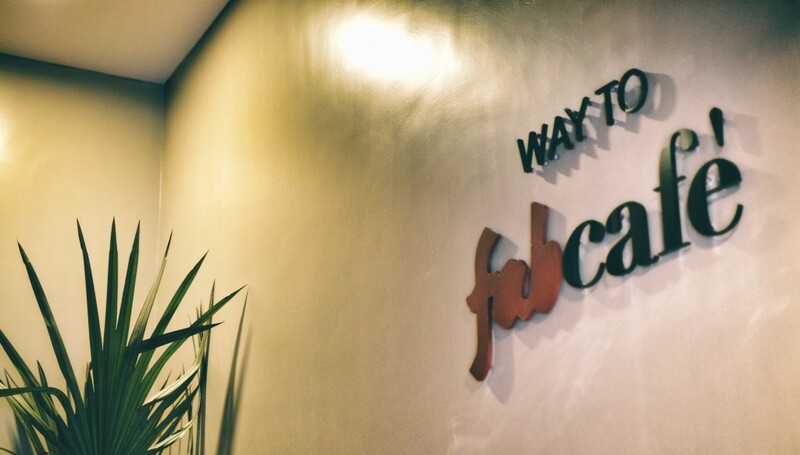 Here I was at the FabCafe @ Level 3! 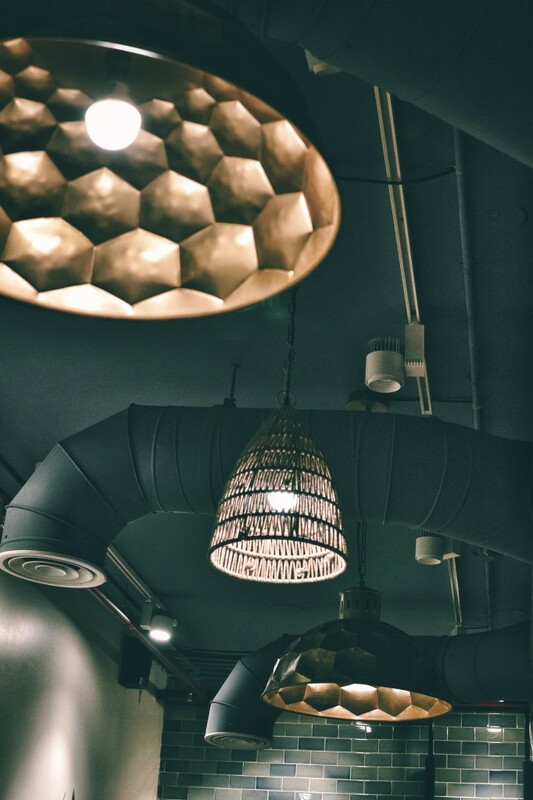 Located on the third floor with large arched windows, simplistic interiors, indoor plants offered a comfortable and inviting setting to unwind and enjoy the rest of my evening. 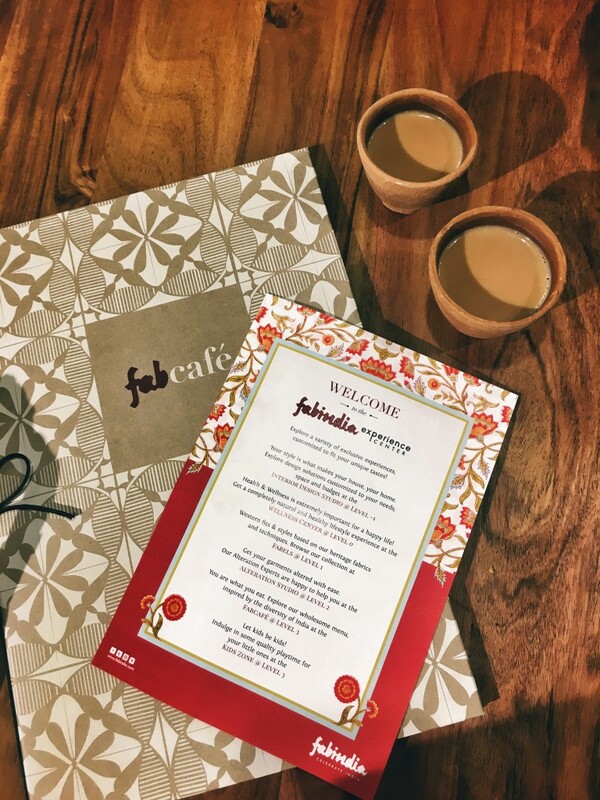 The FabCafe celebrates India’s diverse cuisine and brings a wide array of dishes representing various parts of the country. 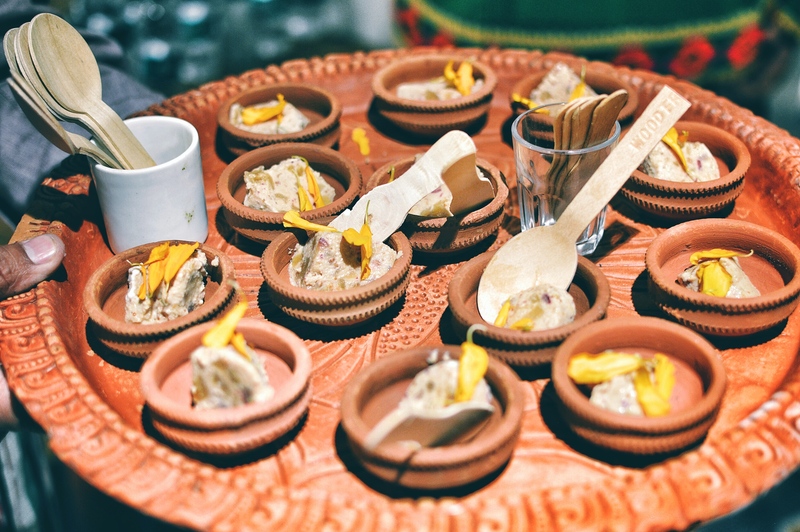 Focusing on nutrition, the menu brings delicious, unique and creative recipes to the table. The hummable music was being played by the folks from the Yellow Bucket. Just adjacent to the cafe at Level 3 is the Kids’ Zone! 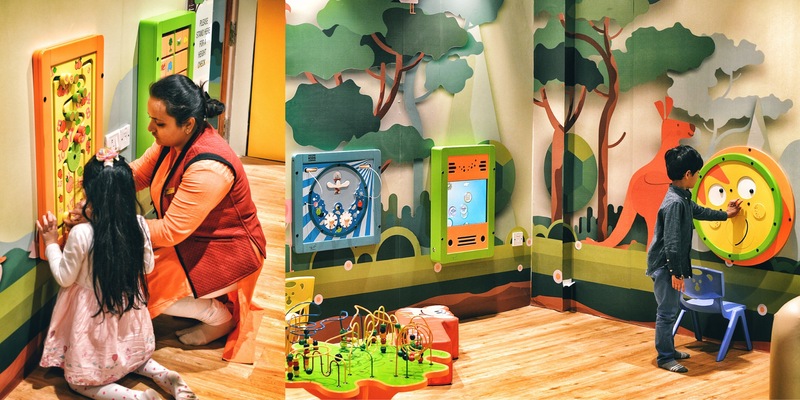 A kids’ zone that aims at creating opportunities for kids to explore their environment. 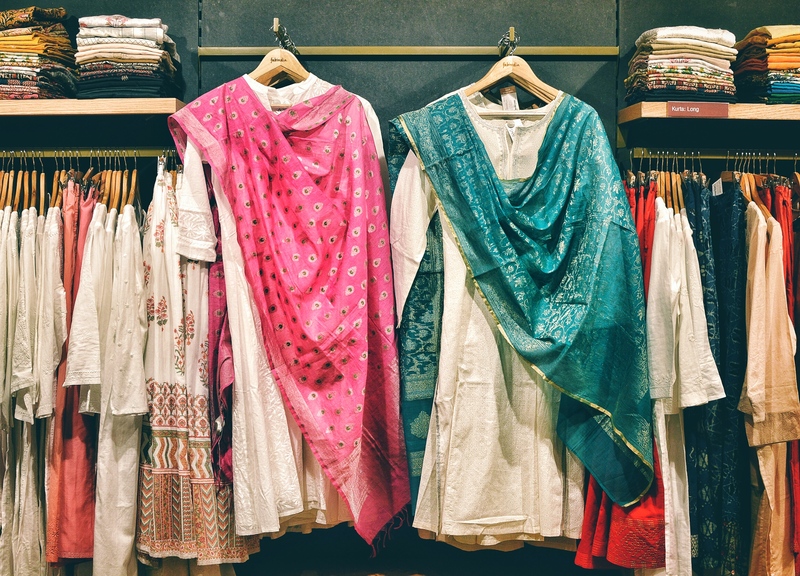 Fabindia is the first retail brand in India to introduce this facility. This exclusive entertainment area, offers a wide range of games like virtual reality games, interactive and logic building activities, tumble bar, abacus wheel and much more. 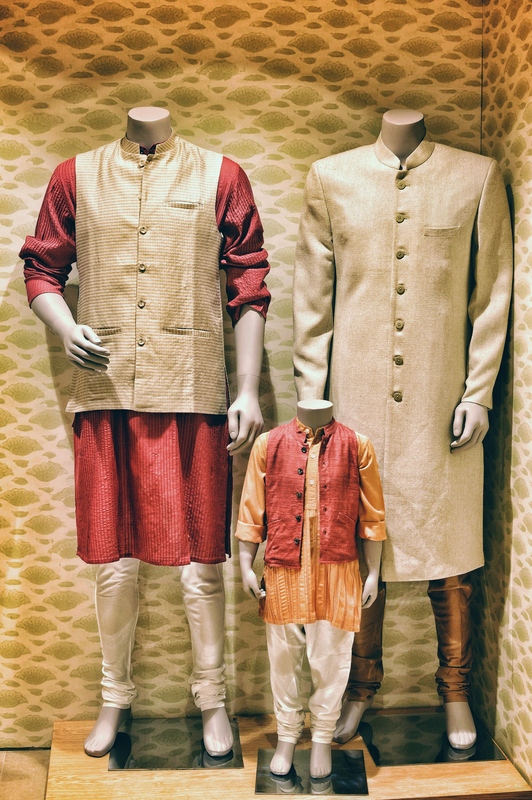 All under the supervision of trained staff, taking care of your child while you shop, check a few emails or just spend some solo time sipping hot chai. 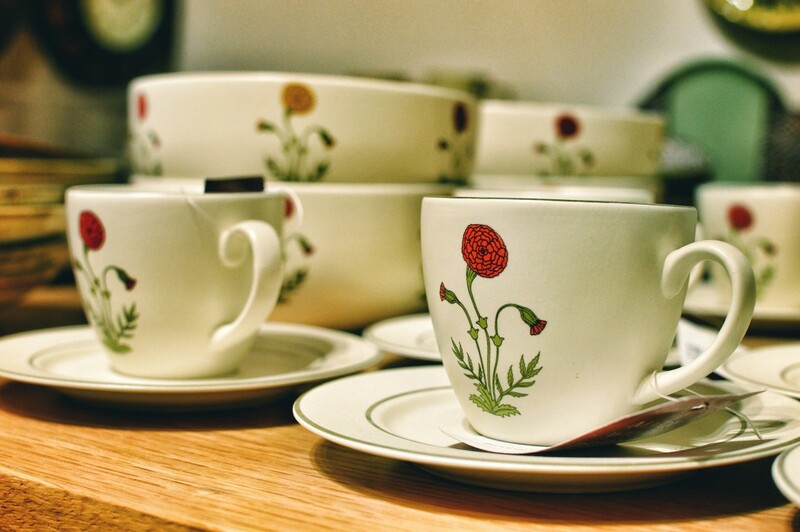 By the way the chai is brilliant here, I had 3 cups during my visit! The food was delicious with great presentation. Hang on! Just before you think its done. 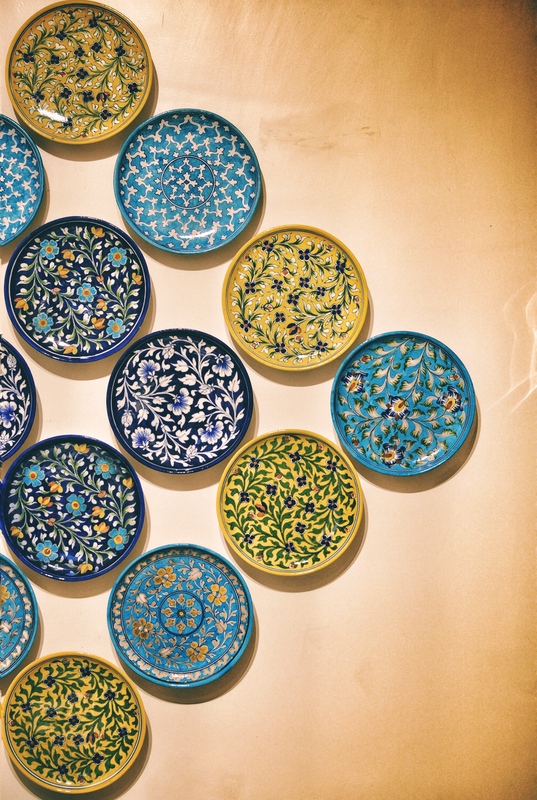 There is a huge home decor section on Level -1 ! Fabindia’s Interior Design Studio (IDS) is one-stop design solution to help create memorable spaces. IDS is an amalgamation of traditional touch-and feel purchasing experience with professional inputs from experts and technology to help you visualise and make better choices. 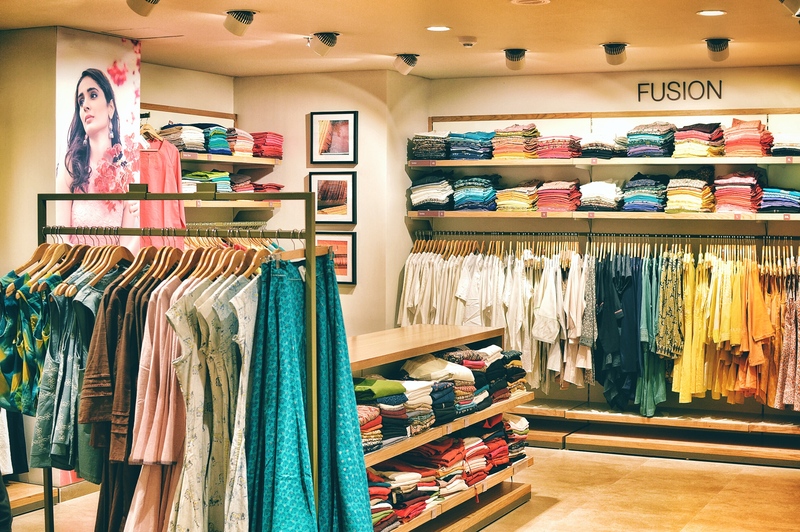 Fabindia Interior Design Studio also provides a range of services such as consultancy on layouts, mapping spaces, product customisation and colour scheme coordination etc. 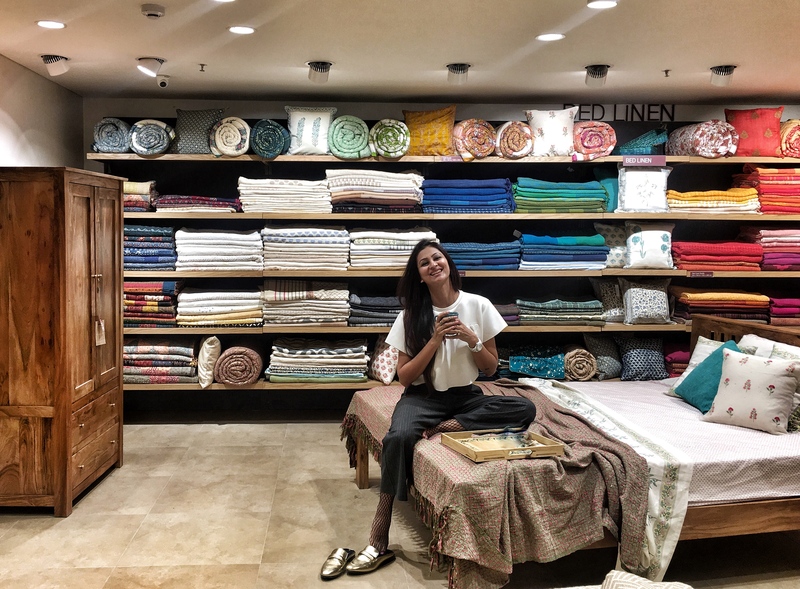 I had so much fun exploring and experiencing the Fabindia Experience Center. So glad I shared it with you first. Trust me it’s a great place to spend your day! 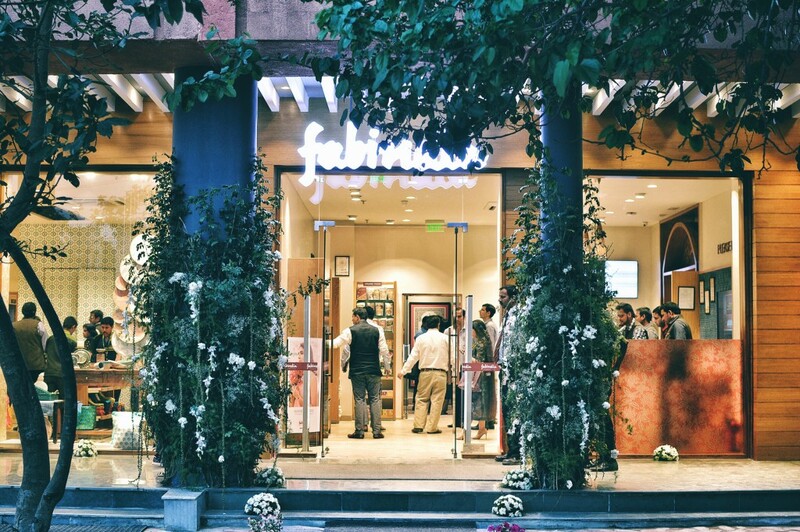 So do visit The Fabindia Experience Center, opening on 18th of March’17 in Delhi’s Vasant Kunj area. Your work always inspire me ..keep up the good work.God bless you! !